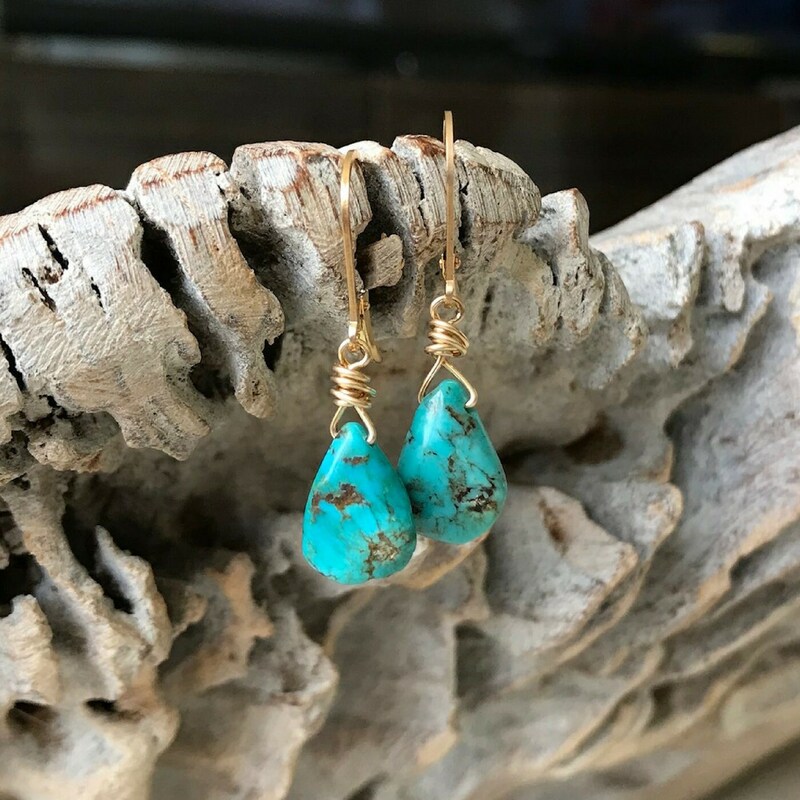 Also available in sterling silver, lovely genuine turquoise tear drops dangle from gold filled leverbacks. Simple, dainty and elegant for day or night. 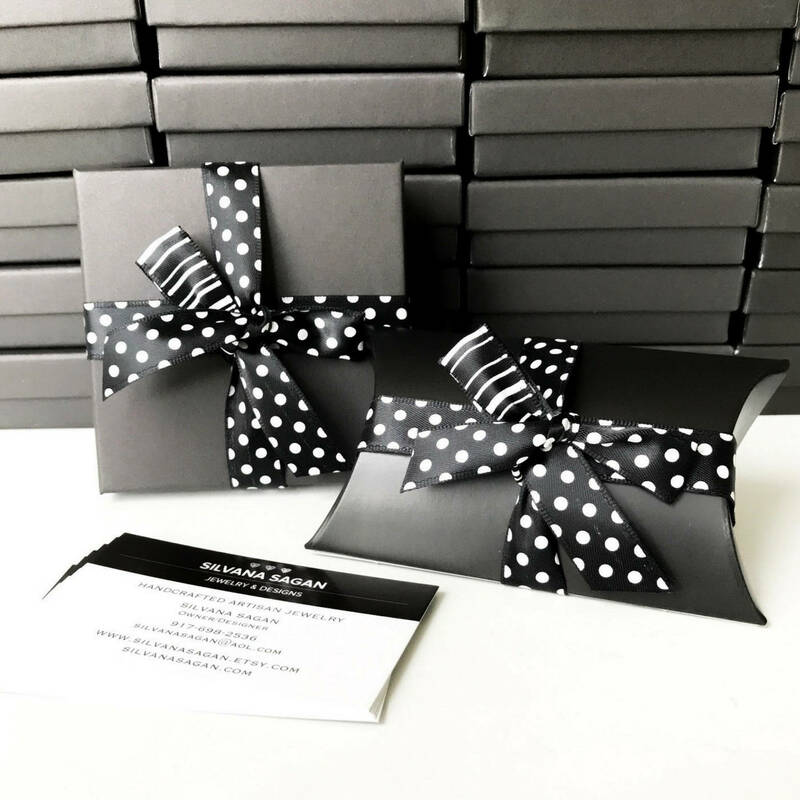 These earrings make a perfect gift for a December birthday girl! 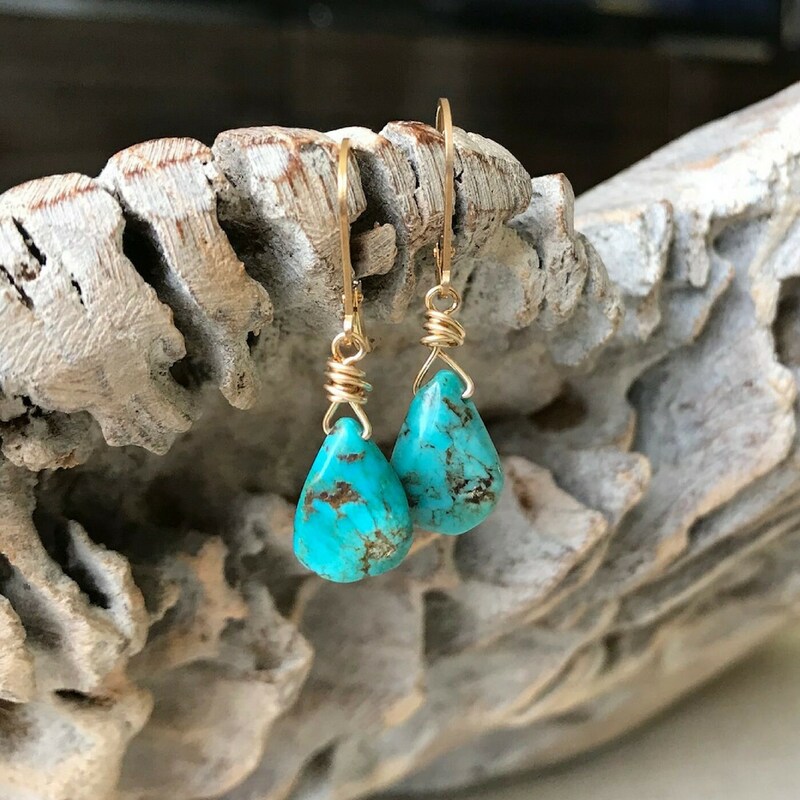 The earrings measure approx 1.25" from end to end. 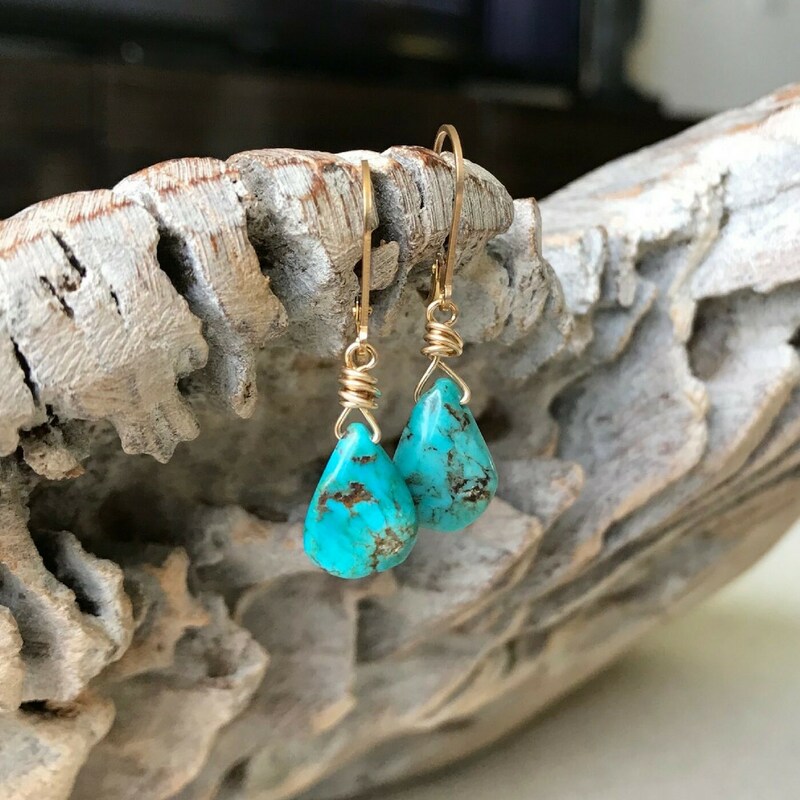 The turquoise is approx 10-11mm. 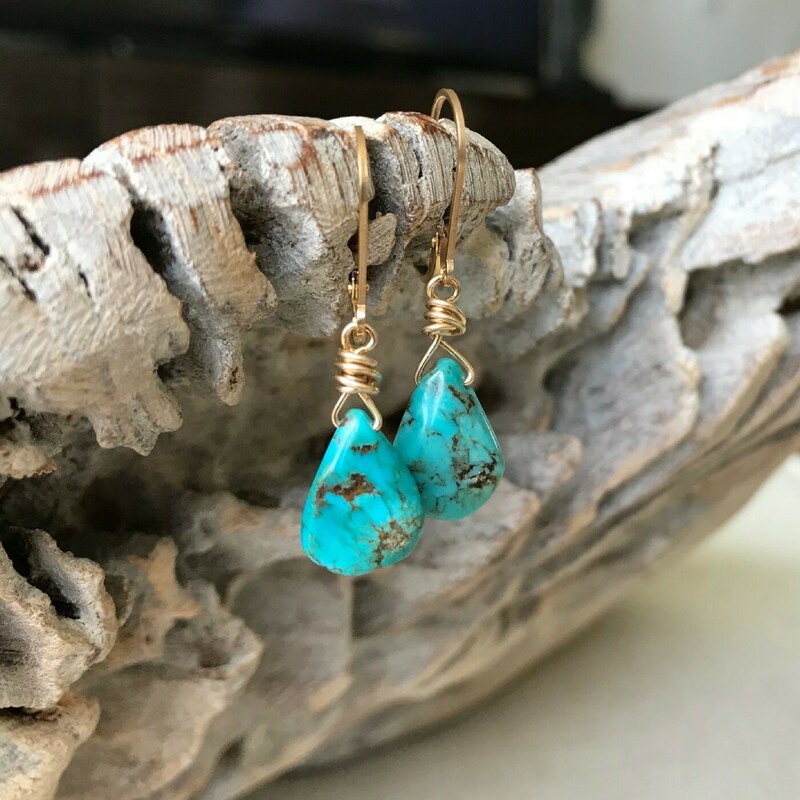 Each of these earrings are made with gemstones and there will be slight variations in size and/or color that are not considered flaws but are the trademark of a handmade products.